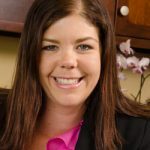 Ms. Harlos is a member of Francis Hansen & Martin’s litigation department with a general practice that emphasizes business litigation,real property litigation, guardianships, conservatorships, and debt collection and enforcement of judgments. 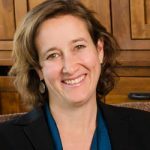 She has developed significant experience in all aspects of trial practice, and in 2014 was invited to serve on a bench/ bar advisory committee for the Circuit Court for Deschutes County. In addition to spending time with her family, Ms. Harlos enjoys snowboarding, running, and trying new restaurants.